Taste test: This snack mix included medium-size knotted pretzels, crunchy cheese curls, triangular blue corn tortilla chips, round yellow corn tortilla chips, caramel popcorn, largish corn chips (some with barbecue flavor on them, some without), and something that reminded me of Skinny Chips, except thinner. 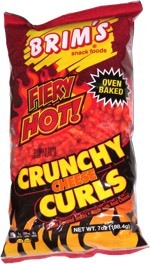 The cheese curls were not all that crisp, but they did have a ton of salty cheese powder on them. Many of the items had a very whole grain sort of taste. There weren't a whole lot of caramel corns, but the ones that were there were quite good, with plenty of sweetness to balance out the general saltiness of the mix. Overall, a great mix. Smell test: Kind of like Fritos, but you can smell a little of the other snacks too. 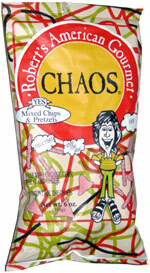 This snack was discovered by Mary at Bliss Market, Newport, Rhode Island. Review published .